What is WordPress? How do I use it? What is my new URL with Site Resources? Do I need to pay for a Domain? What is “redirecting” and how does it work? Can I measure statistics for my Site Resources website? What is included if I sign up to have Site Resources maintain my content? If Site Resources maintains my content, how and when am I billed? Is payment due immediately? I am confused about “Roles.” What is the difference between an Editor and a Super Editor? How do I organize all these pages, posts, parents, categories, etc.? WordPress is a publishing platform for websites that is powered by PHP and MySQL. Although initially WordPress began as an open source blogging tool, its user-friendly interface and ability to function as a Content Management System has contributed to WordPress’ increasing popularity. The look and feel of a WordPress site is facilitated by a template. AAUW Site-Resources has already built in a customized template for you. Your activity will center around the Dashboard, where you can add pages, content, images, links, and widgets, as well as utilize helpful plug-ins to develop an events calendar, newsletter, and much more to suit your needs. No, provided that you use the .net URL listed above. All the aauw.net domains will be maintained as a benefit to the AAUW community. No, Site-Resources will provide free hosting on our servers as a benefit to the AAUW community. Please note that hosting does not include web content maintenance. I already have a URL that has been broadly publicized and I cannot switch to a different URL. Can I keep my old URL? Not to worry! If it is completely out of the question for you to change your URL at this time, you have the option to independently purchase or continue your relationship with a commercial domain registrar (like GoDaddy.com or Network Solutions). Please note that costs will apply as the URL is maintained outside of AAUW. Site-Resources will help you redirect to the new website from your current URL. Think of redirecting on the web like using a forwarding address in real life. It can give you more flexibility, but it inevitably slows things down. When a user visits your independently maintained URL, there is really only one page there (index.html or default.html depending on your host). For a redirect to work, your page will need a script to tell the browser to keep going to the next URL where your site actually resides, or where the files for your site are actually located on our server. Site-Resources can provide this script. You will need to know how to login with an FTP client (usually one is provided by your hosting site) and edit your index.html or default.html page. Once you have access, you can simply copy and paste in the script and save to your account. As this can be a complex process for those new to website management, you may need assistance. Site-Resources can walk you through the process; just make sure you have the account number and password issued by your hosting site handy. Keep in mind that redirecting slows down your entire website, and will affect your search engine results. We strongly recommend moving toward using only the direct URL provided. Redirecting through more than one URL should be entirely avoided. Yes, each branch/state may track website statistics through a free service called Google Analytics. Once your Editor registers your branch/state website with Google Analytics, Google provides you with a site tracking code. Our Site Resources team embeds that code into your website. Then your Editor can log into Google anytime to view the number of visitors to the branch/state website, the most popular pages, traffic sources, etc. You have the option to request that Site-Resources maintain your web content for an annual fee. If you choose to do so, you will correspond with the Site-Resources team on a regular basis and we will input your content to your WordPress site. However, you may find that maintaining your own content in WordPress is easier than you think. Remember that you will have access to all of our webinars and tutorials to educate yourself about how to use WordPress in more detail. If Site Resources maintains my content, how and when am I billed? Site-Resources will send you an invoice once your branch/state submits our agreement form. A Role defines the tasks a user is allowed to perform. 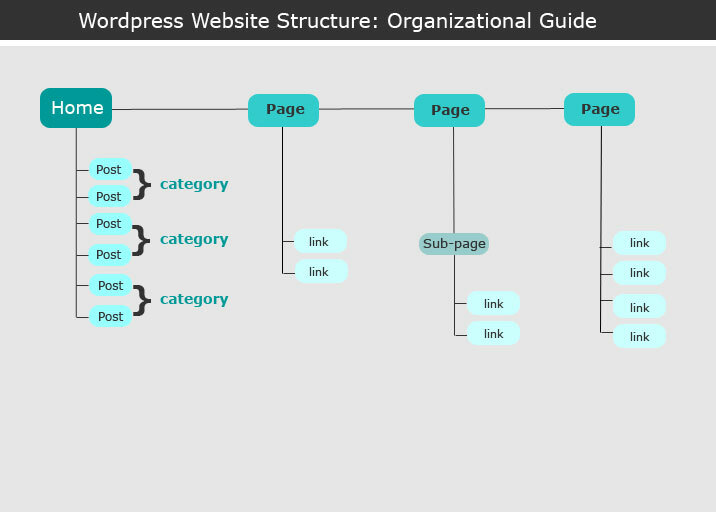 WordPress uses roles to give the ability to control and assign what users can and cannot do in the website. Your website must have at least one person assigned to the role of Editor, and you can assign up to five additional Contributors. An Editor is someone who can publish and manage the posts and pages created by him/herself as well as by others. In other words, Editors have the ability to write, publish, and edit anything on the website. They are in charge of the entire publishing side of WordPress, which is why it is best to have only one Editor. Assign this role to someone who knows the “big picture” of what your website should be doing for your branch. A Super Editor is someone who has all of the capabilities of the editor, with a few extra perks. The Super Editor can update sidebar widgets, the header image and the navigation menu. One good way to start is to divide your website into Static and Dynamic information. Static information is always the same, or at least stays the same for an extended period (ex: “Leadership” or “Membership”). Dynamic information is often changing and time-sensitive (ex: Events). Pages are for static information, and posts are for dynamic information. If you have any further concerns or questions, please contact us!